Solaris has been the heart of Sun Microsystems since 1982, with 32 bit SPARC RISC CPU since 1987. Fujitsu joined the SPARC/Solaris community in 1992, with others to follow. In 1995, SPARC went 64 bit, and has been ever since. In 2009, Oracle Corporation purchased Sun and all of it's SPARC & Solaris assets. Oracle & Fujitsu had been releasing processors & Solaris releases in rapid succession, ever since. 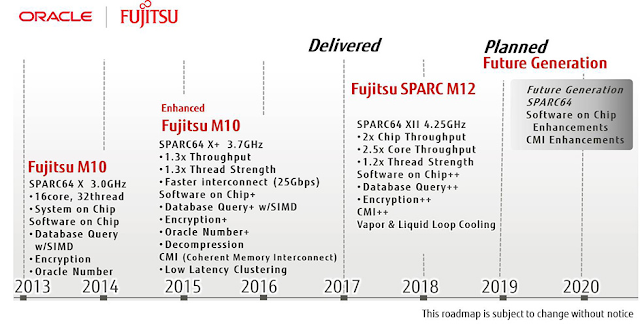 In 2017, Fujitsu released one of the fastest processors on the market, which happened to be a SPARC. Since they, they had been very clear about it's roadmap for SPARC & Solaris, reaching out to a new SPARC release in 2020. Their roadmap has not changed in close to a year, so they appear to be on-track. Shortly after Fujitsu's SPARC release, Oracle also released their SPARC M8 processor, which became the fastest socket in the world, once again. Also in September, Oracle release a roadmap where there was no future SPARC socket. This has been remedied in Spring 2018, where a snapshot of the official Oracle SPARC roadmap mirrors Fujitsu. The spread between M6, M7, M8, and M8+ all seem to be spaced about 2.5 years apart, indicating not much of a change in the silicon release schedule from Oracle. Both Fujitsu & Oracle are now both using the same TSC fab for their SPARC silicon, which hints at a degree of consolidation outside of their roadmaps. More interesting, there is a new hardware category called "Next Generation Storage", linked with the M8+ servers. Oracle had never been a true hardware company before purchasing Sun - they mostly re-sold hardware from third party vendors in their engineered systems, where Oracle felt they could add services value. 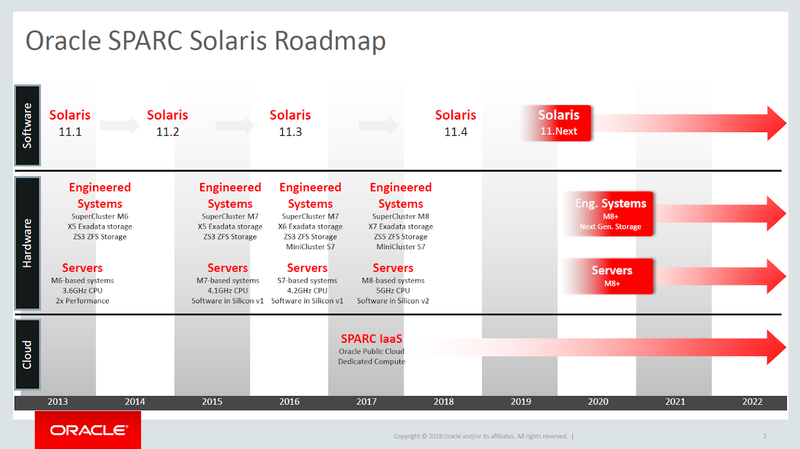 Seeing SPARC in the roadmap, for engineered systems, is interesting, but will Solaris SPARC assume the role (with Solaris 11.4's new Storage features) or Intel Linux (with new Block volumes in Linux Storage Appliance)? Oracle announced in early 2017 that SPARC & Solaris will move to an Agile Continuous Improvement cycle. Solaris 12 was erased from the roadmap, which was expected with Continuous Delivery, but created an odd amount of uncertainty in the media. 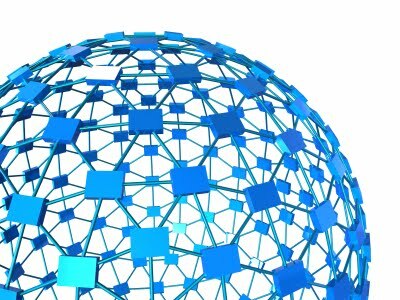 Human resources alignments occurred in 2 batches, creating a large amount of uncertainty, but a new M8 processor was released. Assurances that Premier Support would continue to at least 2038! January 2018, Solaris 10 went on Extended Support, meaning an uplift for patches are required, and 3 more years before patches cease. The final Premier Support patches were released, called 2018-01. The push to Solaris 11 is on! As the market uncertainty over SPARC & Solaris continues, new silicon and new operating system releases continue to occur. Long term industry players continue to release hardware. Solaris continues is march forward with aggressive new features, even pushing all components in the operating system to 64 bit. The only promise still outstanding is rebootless patching, possibly with KSplice. Wim, where is Solaris KSplice? You're in charge now, right?